IL is a twin wall insulated pre-fabricated domestic gas vent manufactured in the UK by SFL. It is designed for naturally aspirated domestic gas fired appliances with a draught hood/ diverter and where the chimney is required to operate under negative pressure, dry conditions and the flue gas temperatures must not exceed 250°C. Available in 100, 125 and 150mm internal diameter. Aluminium liner and a zalutite outer case. Vertical seams are rolled and securely locked. Inner and outer casing are joined at one end only meaning the inner liner is free to expand as the temperature changes in the vent. Not suitable for condensing and positive pressure applications. 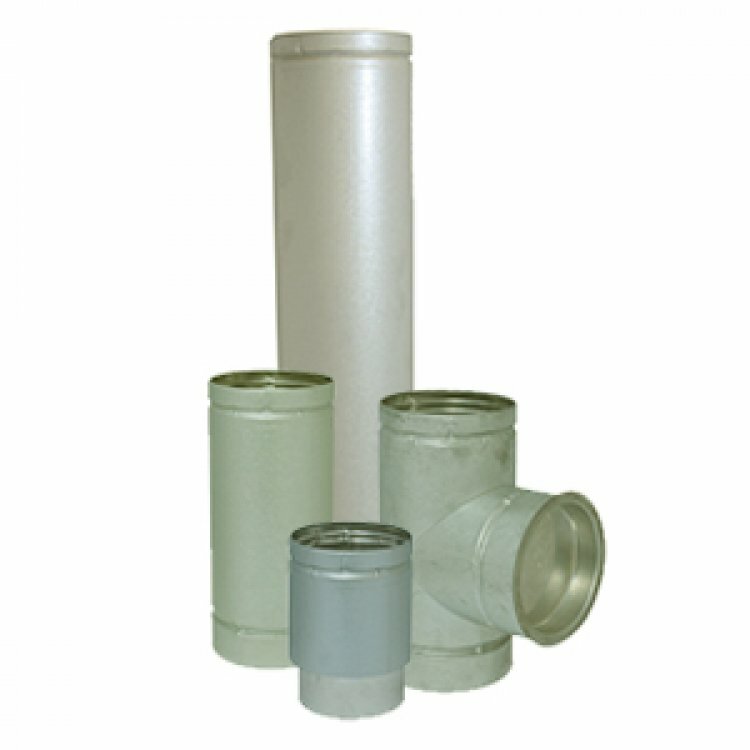 Range of flue boxes available.